The Wall Street Journal reports that Japan is doing the opposite, adding a package of corporate and investment tax breaks for Japan companies as part of its economic stimulus plan. This comes after an increase in government spending coupled with monetary easing by the Bank of Japan. Tax breaks worth 3% of total spending will be given to companies that invest more than the previous year. Research and development spending and higher salaries could also be deducted from corporate tax. Business groups aren’t celebrating, however, as the overall tax burden has actually increased due to a sales tax hike enacted in 2012. Japan is caught in a very tricky position, having to stimulate the economy while chipping away at a $13 trillion debt. Italy has joined other powerful governments in the fight against tax evasion practices. 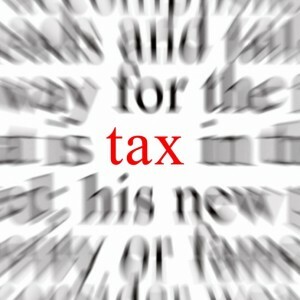 Their tax authority is cracking down on suspect offshore investments to find tax cheats and new sources of tax revenue. The country has also added a new property tax and increased its sales tax, and has even limited cash transactions to 1,000. In 2012 alone, Italy brought in 600 million in additional taxes after prosecutors pursued cases of money illicitly stored in Switzerland. Auditors have also examined the books of big companies such as Google and Luxottica, and have put the founders of Dolce & Gabbana on trial for supposedly selling their brands to a Luxembourg holding company to evade Italian taxes. The sale of fashion house Valentino is another case being investigated. Italy, which has one of the biggest tax evasion problems in the developed world, is taking aggressive measures in its drive to bring down its massive debt. Lastly, Tax-News (Link) reported on Monday that the government of Jersey had signed new comprehensive double taxation agreements (DTA’s) with the Isle of Man and Guernsey. The new DTAs are in line with the OECD Model Double Tax Convention and ensure that cross-border income transfers, trade, and investment between the territories are not taxed twice. The agreements cover income taxes (both corporate and personal), as well as profits, dividends, interest, royalties, and income from employment and pensions.